Welcome to the Jackson from Meritage Homes, a Builder known for the Amazing energy saving features built into the home. This home is spectacularly equipped with a KitchenAid Chefs Kitchen with Dual convection wall ovens, Dual Dishwashers, rich espresso cabinets, and high level Granite counters and much more...This home has 5 Bedrooms with a large Master Suite on the first floor with and Enormous walk in closet. The master bath boasts a stand alone shower with a separate large spa tub. The home has a very open feel and is great for entertaining either inside in the gigantic Kitchen and Family, or retire outside to the large lanai and enjoy the Florida weather while sipping a cold drink. If you are a movie buff head upstairs to the Media Suite and enjoy a soda from the Soda Fountain that comes with the home. This model comes equipped with 4 more bedrooms upstairs and a separate large office and a loft space as well. One of the very few homes that is built with a Living, Dining, Office, Loft, Family, downstairs master, Media Suite, and 4 more bedrooms!! Its truly the perfect home and will easily accommodate large families or multi-generational families. 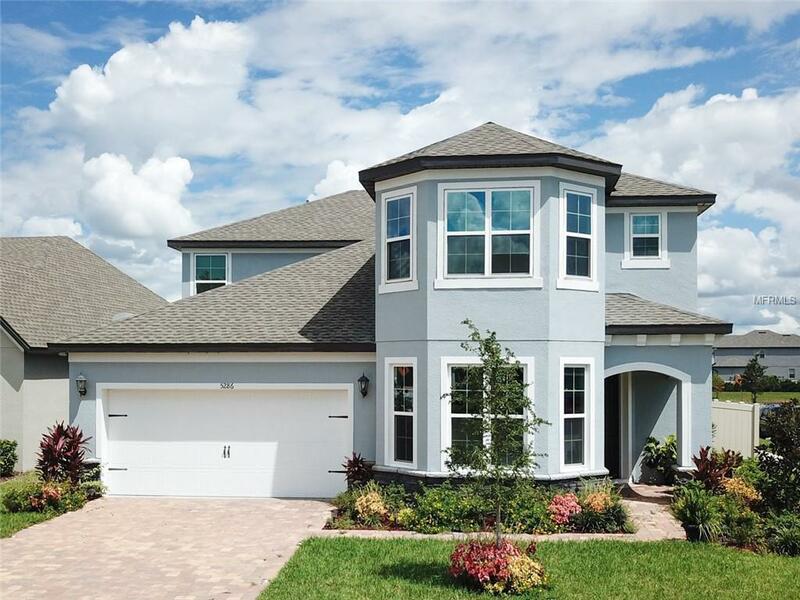 Very Close to Medical City and Lake Nona! Great Schools!! !This home won't last long at this price! Offers Due by 9/17/18 at 5:00pm please.